RIVERSIDE -- Lemonade stands can teach a lot to a young kid still learning how the world works, but in suburban Riverside, 9-year-old Evan Axelson and his little brother Sam are raising cash to help find a cure for cancer. Evan said he started raising money last year, eventually donating $11 he earned selling stuffed animals at a garage sale. This year, the original goal of the lemonade stand was $15. But they earned over $300 today alone, bringing the grand total to more than $1,500. When word got out about these boys taking a stand against cancer it brought together many who found a common bond. 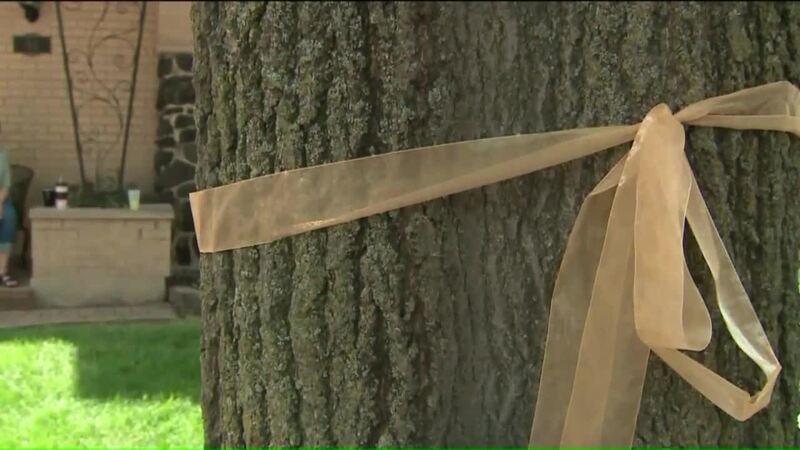 "One person yesterday gave us $100, and she tied a gold ribbon around the tree because she has a 6- or 7-month-old son who has cancer," Evan said. "My papa died from cancer and I want to help find a cure for people who do have cancer," Evan explained. Evan was just one when his papa died, and eight years later his yaya is just amazed. "I could not believe the outpouring from the people that were coming by and just donating," she said. All the money raised goes to the H Foundation, winding up at Lurie Cancer Center downtown. "The foundation is really all about just average people coming together for a better cause," said The H Foundation's John Rot. The boys will be out selling until the H Foundation's big Goombay Bash fundraiser next month.